Between you and me…it’s not actually made of gold. However, it might as well be since it has gone from being carried in just our 10ml bottles to our economy sized 50ml bottle in just a few months! 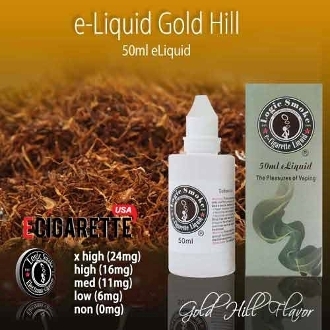 Gold Hill flawlessly mimics a traditional British-American cigarette brand with a sweet tobacco undertone. This blonde cigarette flavor is a delicious change of pace for those of us looking for a unique tobacco taste.